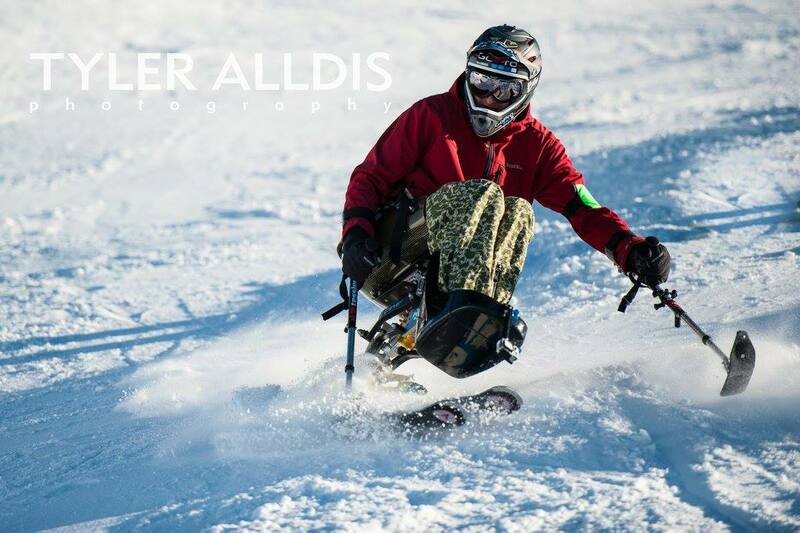 Somewhere in the Alps, a group of injured ex-service men are cruising down the slopes, relying on their adaptive ski equipment and guides to ensure they reach their ski goals. This story is not a fiction – the above takes place weekly in the world renowned ski resort of La Plagne. It all started when Laetitia, paralyzed from the upper-body, rocked up in her wheelchair at the Oxygène office to enquire about ski lessons. She had a specific request; she was fed-up with her disability being the centre of attention and required to be treated as any other skier. Julien, with his knowledge of the mountain and extensive ski teaching experience, was a natural lead for the challenge and took Leatitia sit-skiing the following day. That was just the first step. The same golden rule is now applied to every skier, regardless of their physical condition. From the war-wounded, at ease with their injuries, to new amputees, leading an every day life only a few months ago, the ski school’s mission was set: ski lessons were to be adapted to everyone’s needs. It is a success! By constantly improving their teaching methods, through guiding skiers with audio helmets, leading the visually impaired or personally spending time sit-skiing, our passionate ski instructors have become the essence of today’s most respected Adaptive Ski School in Europe. ‘After damaging my knee in a ski accident, my teaching career was put on hold and I had to find ways to keep myself entertained. That’s when I started sit-skiing’, explained Giulio, an adaptive ski instructor. 10 years ago, skiing made accessible to all, would have seemed impossible: adaptive equipment was scarce and few had the mountain knowledge combined with the right teaching experience to take skiing to the next level. So when Julien and Pierre Tessier, today’s world market leader in Adaptive Ski Equipment manufacturing, encountered one and another, it clicked. ‘There was an immediate connection between us, because we had the same values and approach to skiing,’ commented Julien. Pierre, a former mechanical-engineer, spent 7 years developing a sit-ski prototype: the complexe product had to be comfortable, accommodate both on and off-piste use and be easy to steer. 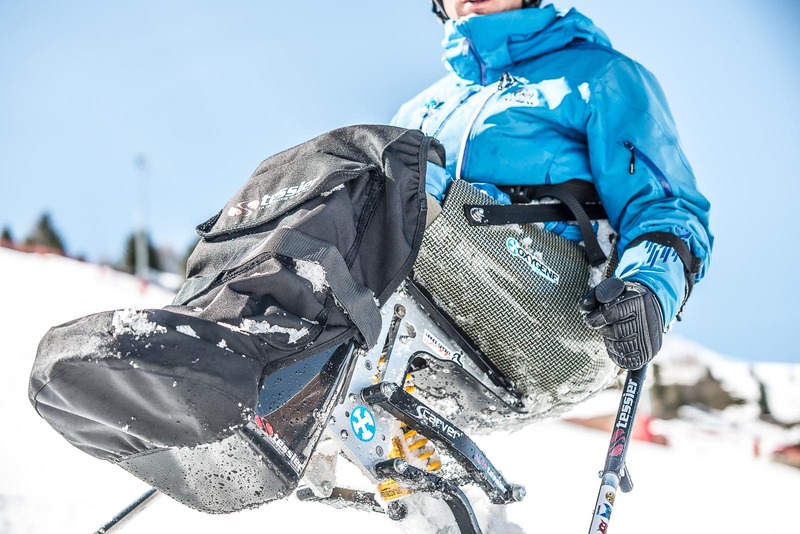 After years of research, the first range of sit-skis were launched and new doors to skiing opened – paraplegics could finally have the same independence as their ski companions on the slopes and the conception of disability started to disappear. However, sit-skis are expensive. With an average cost of €4,000 to purchase one, the price could have become a real impediment to the increase in numbers of users. Oxygène’s desire to share their passion for skiing with everyone lead them to acquire a few and offer adaptive ski lessons at a reasonable price. From that time on, sit-skiers only had one last reservation: the layout of ski resorts. Even getting from the hotel room to ski school can be a real challenge and with no idea what to expect when booking a holiday, people with limited mobility were apprehensive of going on a ski vacation. Ski Resorts responded to this concern and started investing to become disabled-friendly. La Plagne, for instance, have a village entirely accessible to wheel chair users. All gondolas, chairlifts, and draglifts are also accessible to sit-skiers and since last year, wheel chairs have been placed in altitude restaurants, making lunch in the sun available to all. Consequently, La Plagne attracts investors and travel agents, specialized within the market and sit-skiing keeps expanding. Next time you see a back-flip sit-skiers in La Plagne, you will know where it all started.